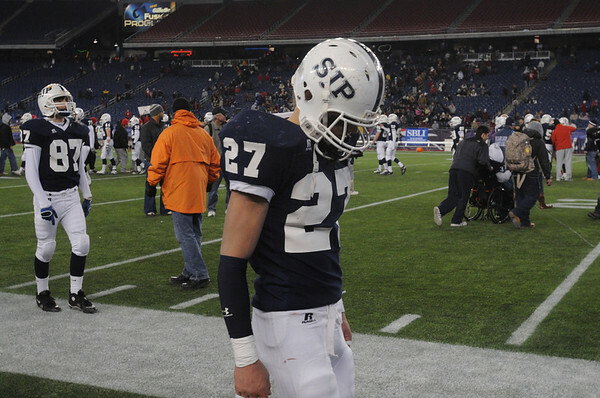 St. John's Prep's Alex Moore has his head down after St. John's Prep lost the St. John's Prep vs Everett High School in the Division 1 Super Bowl football game at Gillette Stadium on Saturday. St. John's Prep lost. Photo by Ken Yuszkus/Salem News, Saturday, December 4, 2010.